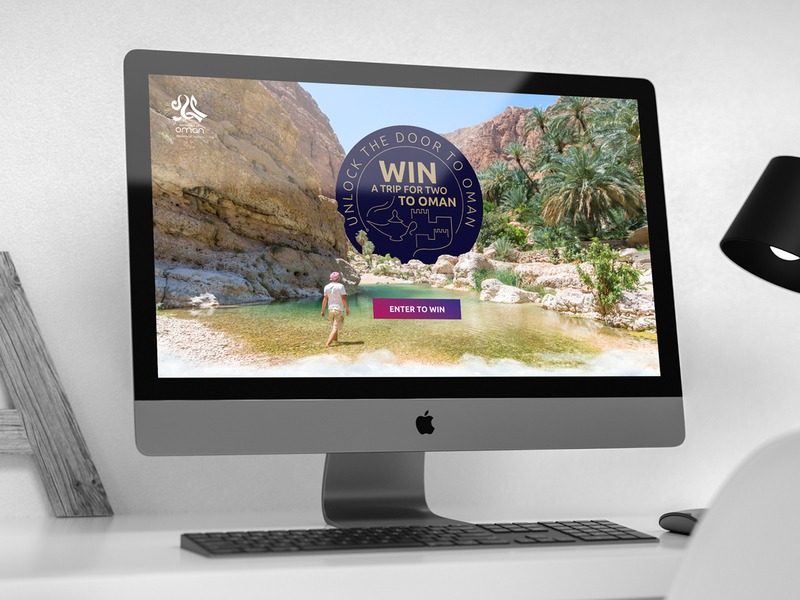 A long standing client of Grin Creative – Oman Tourism – approached us, in 2015, with a challenge to increase interest and bookings to experience the wonders of Oman. Our solution? To run a competition, where the entrant selects their own dream-trip, before entering a chance to win it. 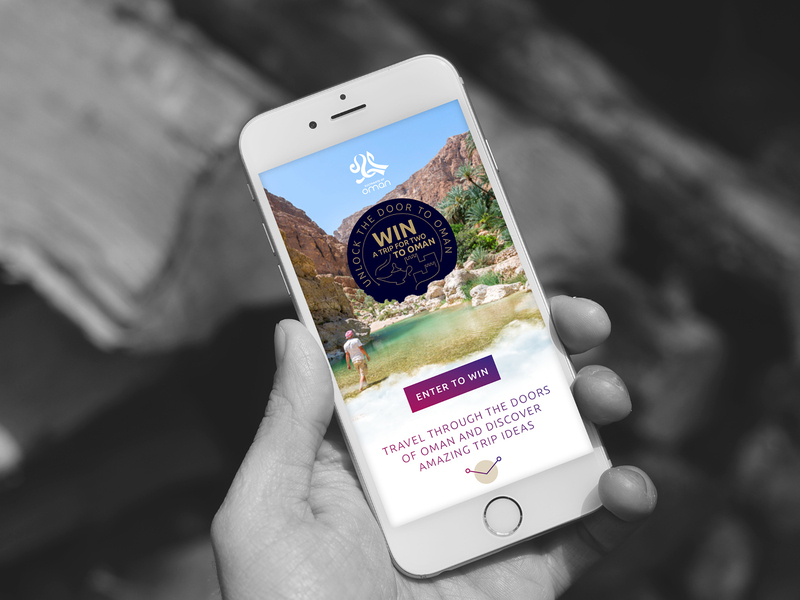 Oman Tourism embraced the concept with both hands and the end result was the digital ‘Doors Campaign’. 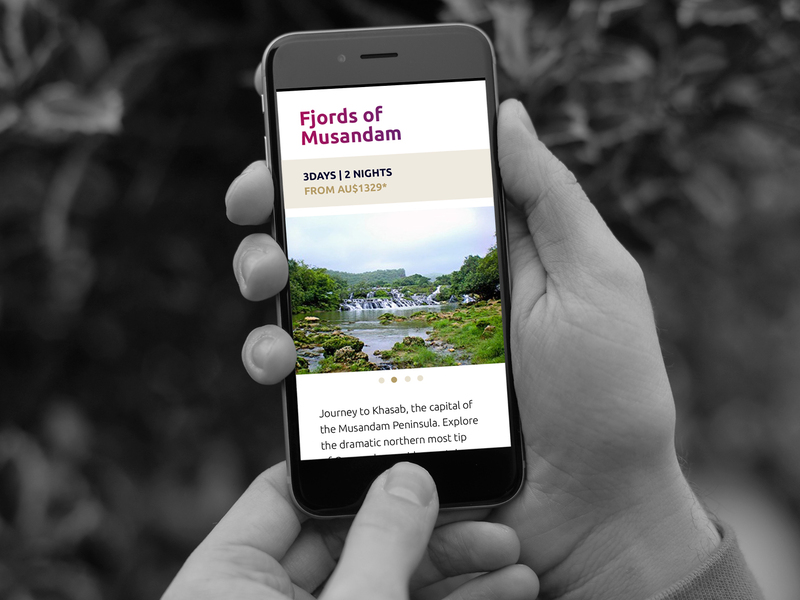 Over the course of four weeks, more than 7,000 entries were submitted. 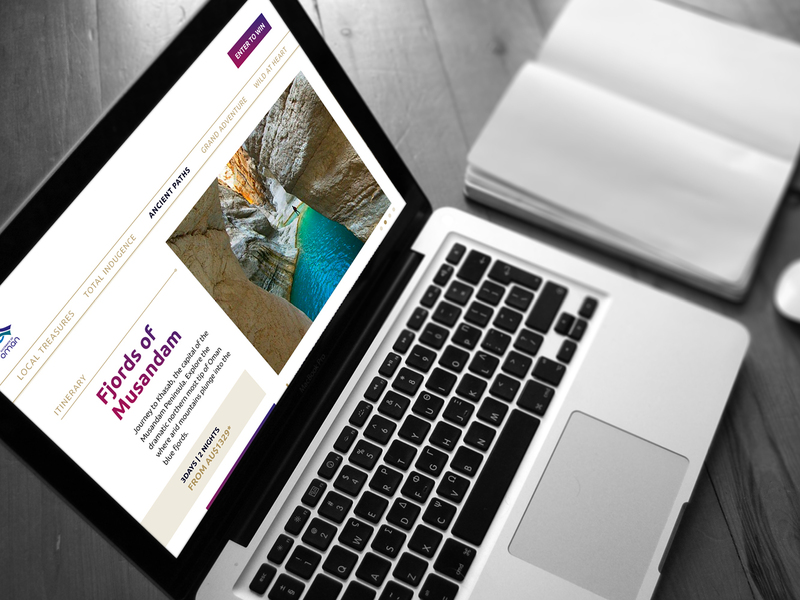 The campaign was so successful, that we redesign and relaunched it again in 2017. 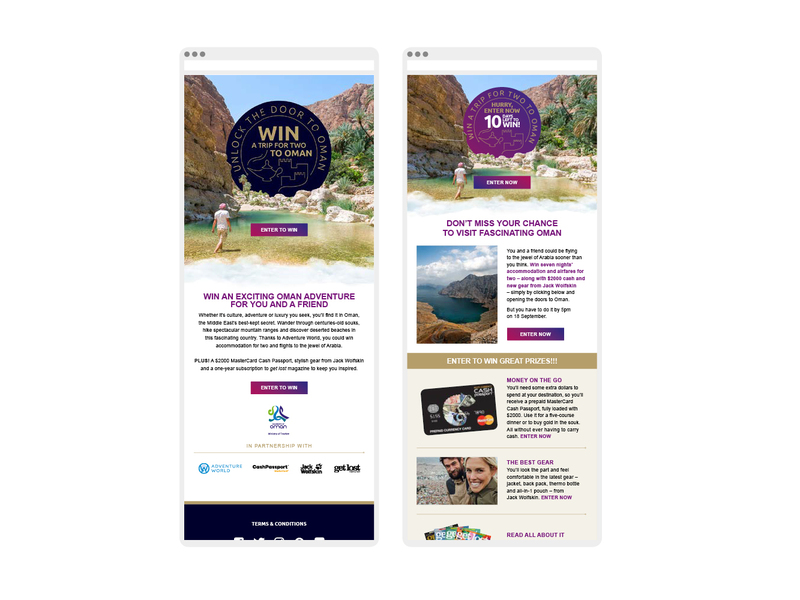 Through eDM and digital banner ad marketing, the competition received over 8,000 unique simple competition entries and a further 5,339 entries through the Adventure World itinerary entry page.